Vale Church is, like Castel Church, situated on a Pagan sanctuary in a prime position on a good outcrop of natural rock. Its importance as a defensive site should not be overlooked, but why build a whole church here? 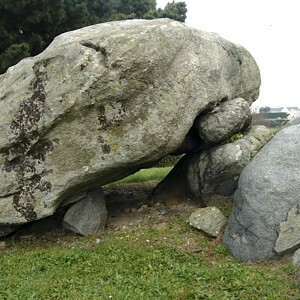 The ‘collapsed’ dolmen in front of the front porch may offer a clue. There is also a rock just by the front door, deeply incised with a cross, that may be a Christianised menhir. 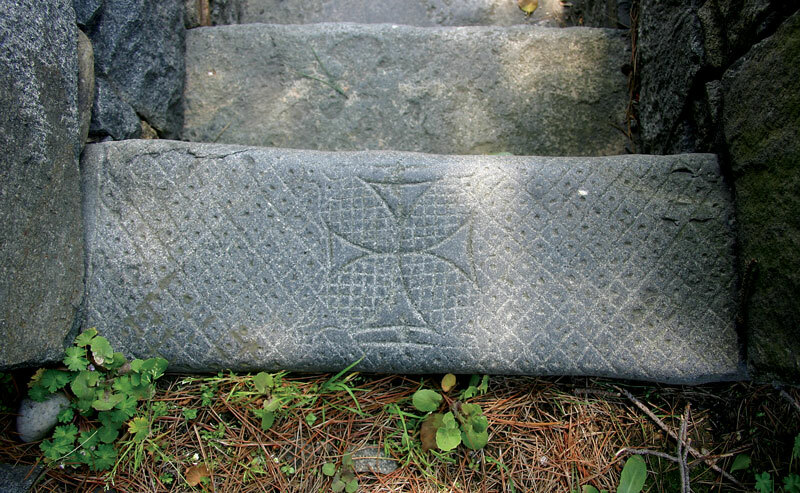 At the top of a small flight of steps leading up from the road we find this engraved stone (below) which looks similar to those found alongside many ‘bullauns’ in Ireland and may be a cross slab, the resting place for the head of a dead monk.